This is my favorite chocolate cake recipe I’ve tried. It comes out super moist with perfect flavour. Taste testers agree you can’t tell it’s gluten-free. 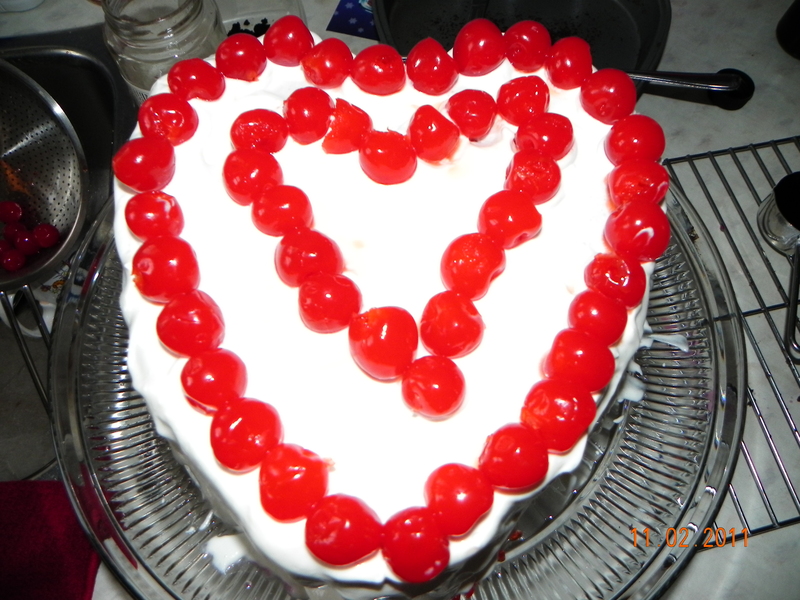 For my cake I used Maraschino cherries and cherry whiskey. I also love using peaches and peach schnapps. Try your favorite fruit and coordinating liqueur. 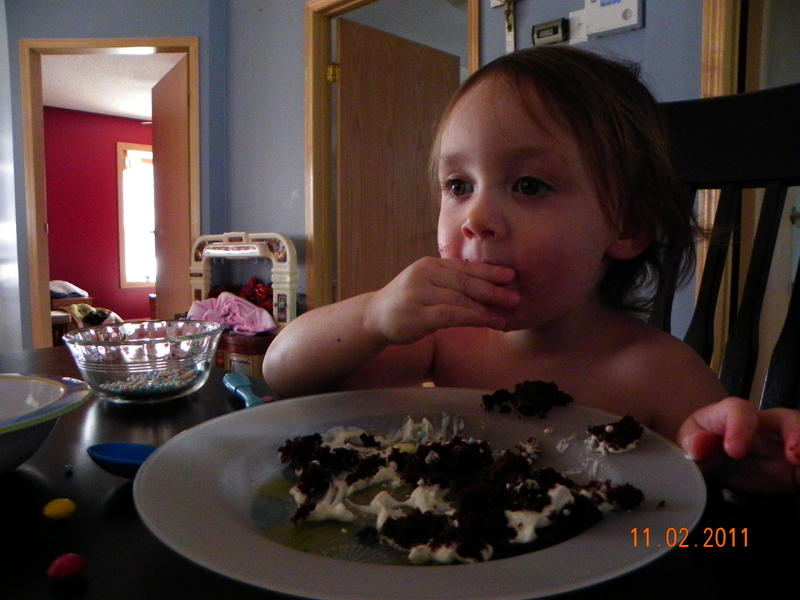 The recipe makes 3 – 9 in cakes, or 2 – 8 in cakes and a dozen cupcakes. Dissolve cocoa in water; let stand until cool. Add eggs, one at a time, beating well after each. Add vanilla. Combine the flour, baking soda, baking powder and salt; add to creamed mixture alternately with sour cream, beating well. 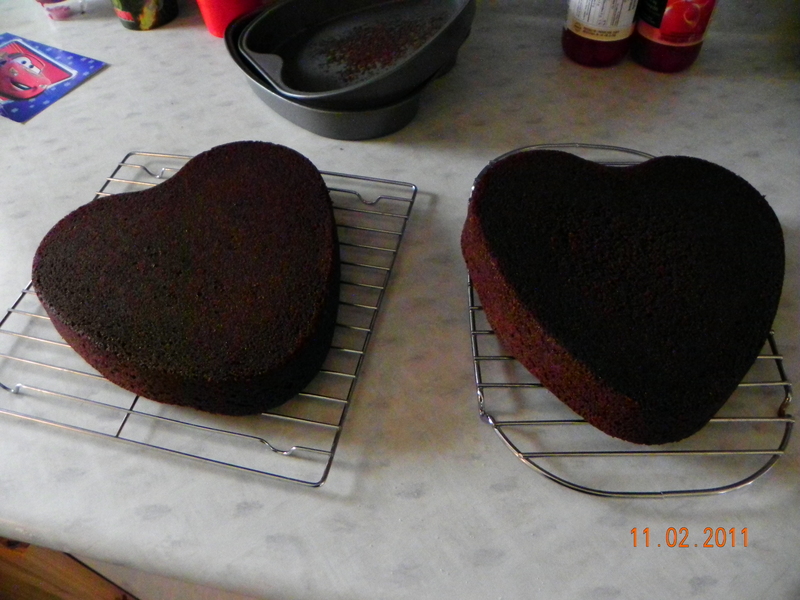 Add cocoa mixture; beat well. Pour into three greased and floured 9-in. round baking pans. Bake at 350 degrees F for 30-35 minutes or until a toothpick inserted near the center comes out clean. Cool for 10 minutes before removing from pans to wire racks to cool completely. 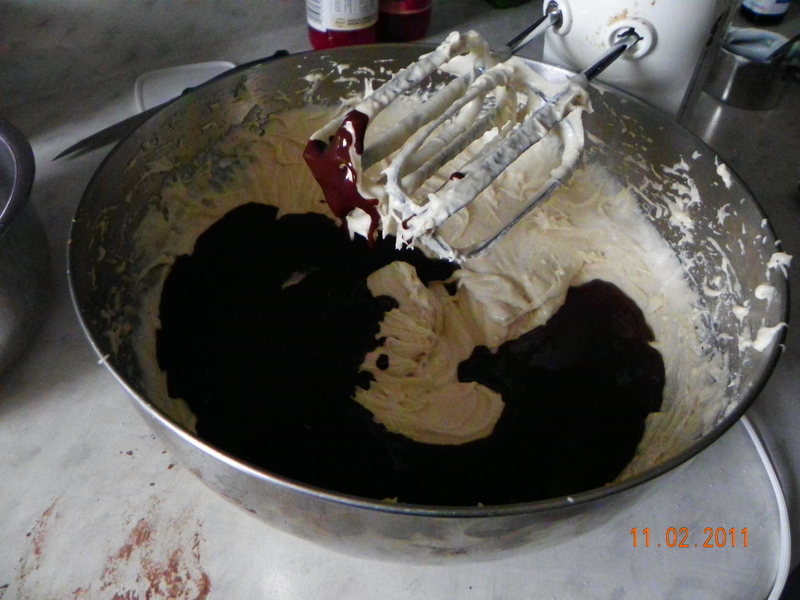 Whip everything until stiff peaks form. 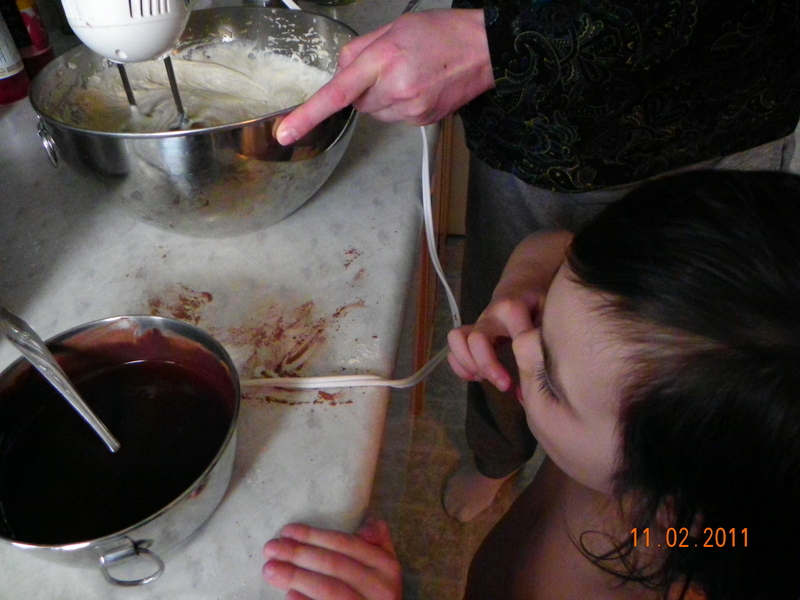 Place first cake layer on board and brush with schnapps. Slather a dollop of frosting over top. Layer with 1/2 diced peaches. Place next cake layer. repeat. Schnapps, frosting, peaches. Place top layer. Brush with schnapps and frost the rest of the cake. Place whole peach slices on top.